Tee-Links is the Golf Destination for Tee-times, Golf Packages & Products. We have a brand portfolio of 950+ golf Resorts/Courses providing golfers with great customer service, value & reliability. 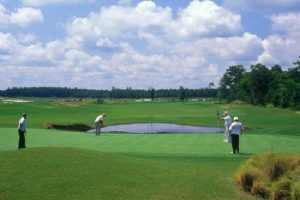 And South Carolina and Myrtle Beach is a very popular destination for our customers with over 130 Golf Resorts/Courses to Choose from and a variety of package deals and tee-times so come play golf with us and you will get a great savings. Need assistance – we are here to help? Well then contact us below and we will get back to you immediately. And Myrtle Beach, a city and vacation resort on South Carolina’s Atlantic coast, is the hub of the Grand Strand, a 60-mile string of beaches. The perfect place to book a vacation and or golf package. It’s also known for its celebrity-designed golf courses. Along its beachfront boardwalk are arcades, souvenir stands and restaurants, as well as the old-fashioned Family Kingdom amusement park and the SkyWheel, one of the country’s tallest Ferris wheels. Get your Quick Quote and Start Savings. READ WHAT SOME OF OUR AMAZING CUSTOMERS WROTE ABOUT US! I recently had a group of 17 that Debra K organized during masters week. She was very accomodating for an odd number of golfers. We stayed at Myrtlewood Villas which was a 3 bedroom, 6 golfer per room accomodation which were very nice amd clean, close to Broadway at the Beach which has plenty of shops and restaurants. Courses we played were MBN south creek, Indian Wells, Burning Ridge, and Wild Wing. Courses were all in great shape! Definately looking forward to next year. And would highly recommend Debra, she was very pleasant, helpful and accomodating for our group! 4 of us travelled from Toronto to Myrtle Beach where we had pre-arranged golf and lodging via Tee-Links. We played 5 rounds in 4 days (Man-o-War, Witch, Wizard, MBN South and MBN North). Debra looked after everything for us, and was even available to change a few tee times and make some course changes. Excellent service. The two of us travelled from Canada for a week of golf and we were not disappointed. The travel director that set things up was very easy to work with and able to accommodate all our requests. The Hotel was clean, quiet with a reasonable variety of selections for breakfast. Golfing was the best part with the courses selected being fun for us even as high handycappers. The coarse staff treated us like we were members being very helpful to see that we were paired with people of our own caliber and that we knew where everything was and how the courses were layouts. Litchfield, Burning Ridge, Colonial Charters, South Creek and Indian Wells have our gratitude. Our group played Prestwick, Myrtlewood Palmetto, Tidewater, Shaftesbury Glen, and Arrowhead, from March 14th throiugh March 18th. Of the 5 courses, Myrtlewood Palmetto was our least favorite, but the other courses were outstanding from the architecture to the condition of the courses. We would definately play them again! We stayed at River Oaks Resort and the condo we stayed at was clean and more than suitable for our needs, although the resort could use a little TLC. Overall, we had a terrific golf trip and we are already planning to return next year! Our foursome played four rounds in North Myrtle the first weekend in March. Played Farmstead, Pear West and Rivers Edge (2X). Courses were in fine shape. Ranges on Pearl and Rivers Edge were closed. Stayed at Brunswick Plantation. 2 BR condo was clean and suited us perfectly. Very good arrangements and economical package. Would definitely work with them again. First time in “South Myrtle” and really liked the area. We stayed on the course and were able to walk to the course. Breakfast included was definitely a plus and group enjoyed it. We play Litchfield, Pawleys plantation and TLC all top notch courses and green were in good condition. Villa worked well for our group enough space for everyone. We stayed at the Brunswick 2 Bedroom Villas in Calabash NC. The Villa's were great with plenty of room inside. We had a problem with the new door locks that where on of the rooms. They didn't work properly and it took a couple days to get it corrected, but everyone was very helpful it getting them fixed. The Golf course rough was way to high for amateurs and the amount of time it took looking for balls in the rough made the Marshall get on people for slow play. The rough was 4 to 6 inches high on all the Big cat courses. Our 16 players with several single digit handicapper's lost 20 golf balls in the rough for the three days we played. Ralph and I had a great trip. Hotel was comfortable and clean offering a nice breakfast daily. The courses TPC, the witch, wizard and Mow with lunch and 2 drinks were great, challenging and lots of fun. Weather cooperated and we were very happy. Well we all had a great time and made it back without incident!! The Weather was fantastic and golf was good with a couple of exceptions. Grande Dunes lost most of their greens over the winter and were not good, the same was true for Panthers Run, Long Bay was great and Tigers Eye was much better than Panthers Run but still not as it will be later in the summer. They said their winter was hard on many of the course and due to the type of grasses they used for their greens many of the courses in Myrtle lost all or most of their greens. Some survived quite will while others basically lost their greens and are trying to recover. But all in all a great trip " Thanks for putting it together for us"
We will be going back next spring, probably mid April or first week of May still not sure. Also not sure if we want to go stay in North Myrtle of go back South. Probably will have 16 golfers again. I'll be in touch probably late summer to start setting things up. Oh, the noonish tee times worked out great too. Hope all is well and thanks again for all the help!!!!! his shot maker’s course is a traditional South Carolina course: tree-lined and lots of water on the fairways with 14 holes that involve water hazards. Gene Hamm is the course designer. Place Description: Customized Golf Packages - Great Rates and Service. Thanks again for planning our corporate outings. This was our first trip to Myrtle Beach. We usually go to Charleston but we are glad we booked in Myrtle Beach. The courses recommended were a nice mix of elite and prime as we have different skill levels in the group. The group especially loved Rivers Edge Golf Course and Pearl West even though some thought Rivers Edge was a bit tough but a beautiful course. The lodging worked well. It was nice and worked well for our needs. The restaurant were great especially “Joe’s Bar & Grill” thanks for the tip! We will be back next year looking forward to it.